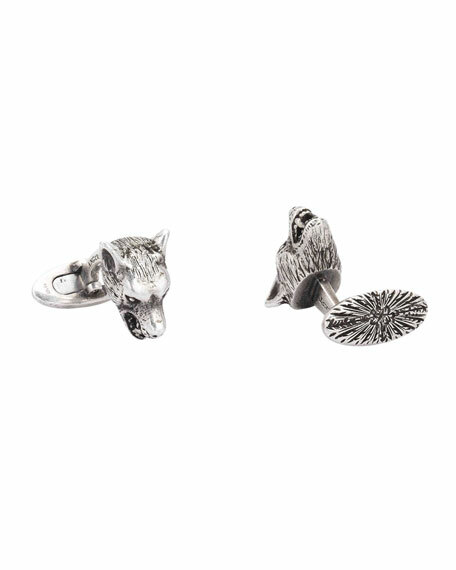 Textured wolf head cufflinks by Gucci. Sterling silver with aged dark finish. For in-store inquiries, use sku #2654735.